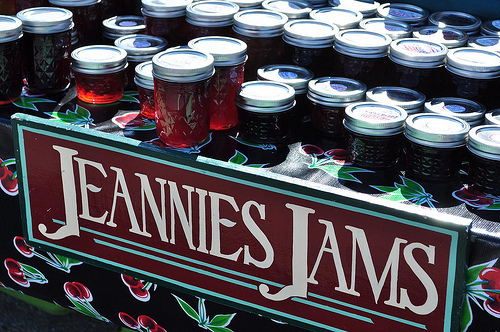 Hey come check out Jeannie's Jams at the San Jose Biennial Music and Arts Festival. I will be part of the street faire in the food area of the festival this Friday September 17th from 5pm-12am. 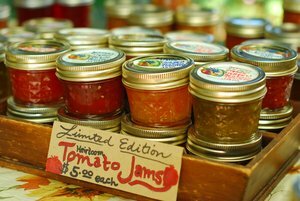 We will be introducing hot PB&Jeannie's Jam Sandwiches as well as a cream cheese version. Just had one- oh my! Some links for Street Faire info and for Music Festival Line-Up so you can check it out. The best part it's FREE! I will also be opening my JamStand back up this Sunday September 19th from 12-6pm. I will be open during Open Studios Tour weekends also. You can now check my Events Calendar tab at the top of my website, or check Zvents by entering "Jeannie's Jams" in the search box to see when my stand will be open. To get on my newsletter list email me the word "Yes" to JeanniesJams@gmail.com Thank you all for your support!